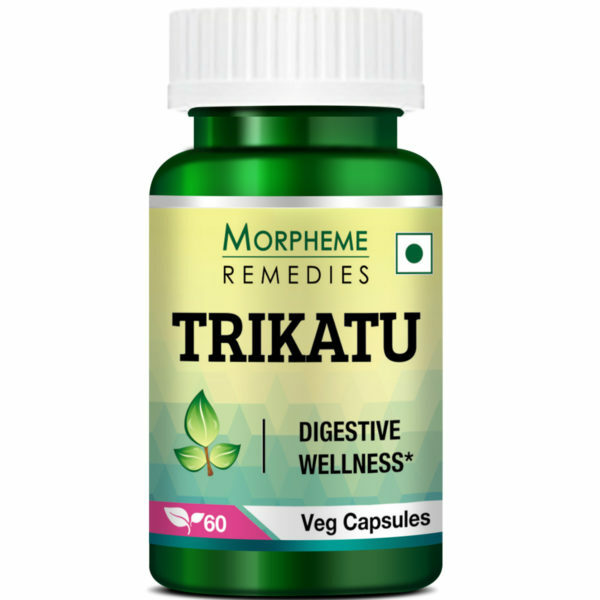 Digestive Wellness: Morpheme Remedies Trikatu 500 mg has the time-tested natural product to support digestive wellness. Best Ingredients: Trikatu combines three best quality natural ingredients, long pepper, black pepper, and ginger, in equal measures for digestive support and gastro health. Safe and Effective: Our Trikatu is safe for long-term use. 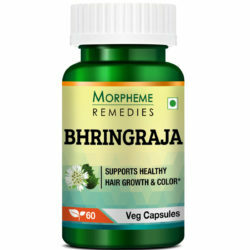 It contains no additives, fillers, binders or chemicals. Stringent quality controls are observed in manufacturing this digestive supplement. Veg Capsules: Each bottle of Morpheme Remedies Trikatucontains 60 veg capsules. The capsules are free of gluten. 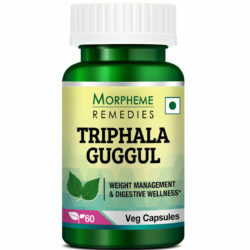 Each 500mg capsule of Morpheme Remedies Trikatu contains the extracts of Long Pepper (Piper longum), Black Pepper(Piper nigrum) and Ginger (Zingiberofficinale rhizome) in equal measures. If you are pregnant, nursing or taking any medication, you should consult healthcare professional before taking this product. This product is safe for long-term use. Is Trikatu safe for consumption? Trikatu comprises of three spices that have been used for centuries for cooking and medicinal purposes. 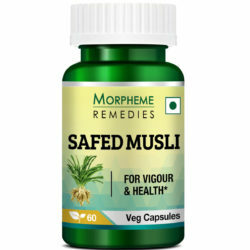 This formulation of three spices is absolutely safe for your health, even suitable for long-term use. You will notice the benefits of consuming Trikatu within a short time. For optimal result, take the Trikatu capsules daily according to direction. Can I take Trikatu with other drugs and supplements? Trikatu is a safe product. It can be taken with other drugs and supplements. By far the best appetite suppressants I have taken. It works wonders on your appetite. Five stars!!!!!! 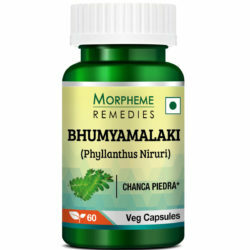 Excellent herbal product for digestive system. I have purchased this product last week and still using it. It seriously reduce appetite, which is very important for weight loss. I love this product. The product is very useful. It continues to help decrease my appetite and help with weight reduction. This supplement will help you lose weight by suppressing your appetite. Less expansive and have lots of benefits. I love this product. I started taken it 3 days ago and just in 3 days I becomes the fan of this supplement. Because it provides amazing results to me. Before using this I always fought with my appetite and tried different supplements to suppress it but nothing worked. 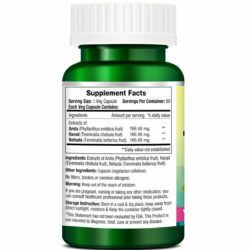 After taking these pills my appetite is under my control and I am completely surprised with the results. Perfect medicine for digestive support. 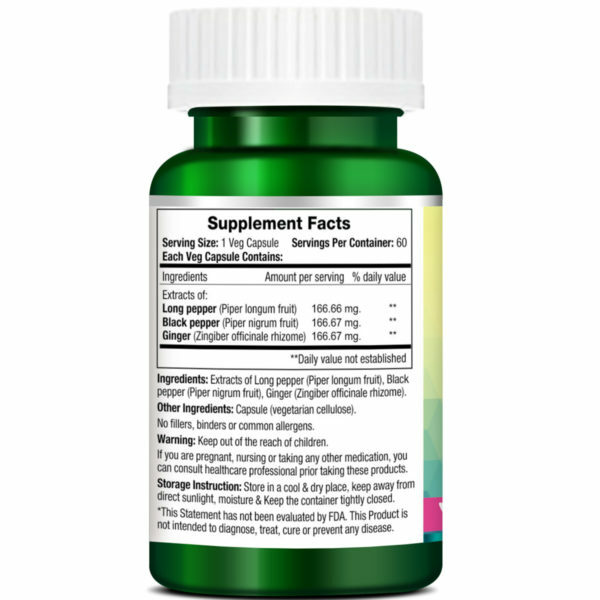 The best and most mighty thing about this product is, It has no negative side effect. Me and my wife we both are taking these capsules and we can easily notice the difference. This supplement is best to reduces food cravings. It helped in providing relief from indigestion. This is a very good quality Trikatu supplement. The quality of this Trikatu supplement is excellent. 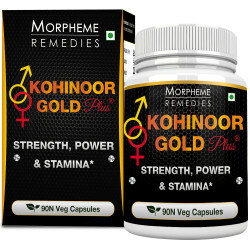 It has helped in reducing indigestion and restoring appetite. 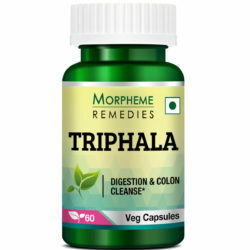 Trikatu helped in providing relief from indigestion and improved digestion. Effective product. Trikatu helped boost digestion. It relived gas problems. This helps in expelling gas and reducing stomach pain and discomfort. Shows result in a short time. 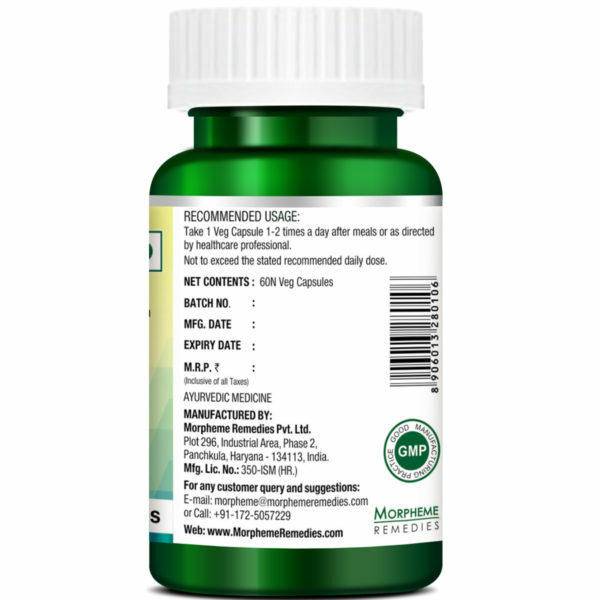 Extracts of Long pepper(piper longum fruits) 166.66 mg.
Black pepper (Piper nigrum fruits) 166.67 mg.
Ginger (Zingiber officinale rhizome) 166.67 mg.
Take 1 veg capsule once or twice a day after meals or as directed by a healthcare professional.